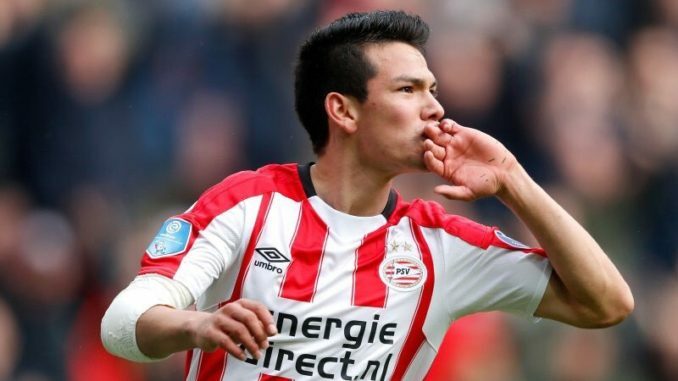 Manchester United have been linked with PSV Eindhoven playmaker Hirving Lozano for quite some time and the latest reports seem very positive for the Red Devils. Last month, Italian outlet Calcio Napoli 24 reported that Solskjaer is looking to sign the Mexican international, who is valued at 40 million euros (£34million). Now, as per an exclusive story covered by TeamTalk, the 23-year-old attacker wants to sign for Manchester United and even former United star Javier Hernandez has told him to push hard to secure a move to Old Trafford. If Solskjaer really wants to lure him and if the player really wants to move to Old Trafford then it will not come as any surprise to see him sign for the club in the summer transfer window. I think that the United supporters would love Lozano, who is very fast, intelligent and regularly scores/creates goals. The Mexican star is an extremely talented winger and it would be a massive bargain if we can get him for just £34million. United need quality and depth in the wide attacking positions and the former Pachuca star can effectively play on either flank. In the current campaign, so far, he has featured in 36 games in all competitions for the Dutch club and directly contributed in 29 goals (19 goals and 10 assists). this guy is really good … destroyed the German defence single-handedly in the World Cup!